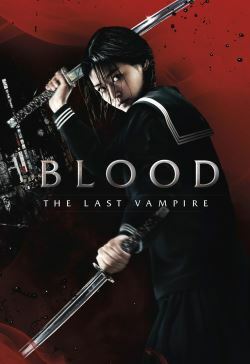 In 1970, the four hundred year-old skilled samurai Saya is sent to the Kanto High School in an American military base in Tokyo by the Council, a secret society that has been hunting vampires for centuries. Saya has the appearance of a teenager but is the tormented half-breed creature with the soul of her human father and the powers and need of blood of her vampire mother. She is obsessed to face the powerful demon Onigen that killed her father. In the base, Saya saves Alice McKee, who is the daughter of General McKee and commander of the base, from the attack of several vampires. When General McKee is killed by a member of the Council, Alice runs to the hotel where Saya is lodged. They join forces and go to the countryside to chase Onigen.